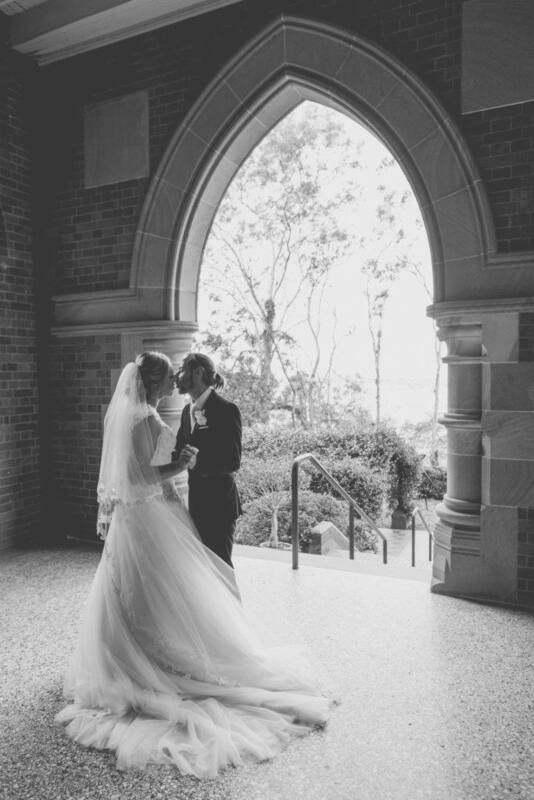 Our White Lily Couture bride Bec married the love of her life David in a gorgeous Brisbane wedding. Bec wore the GULIANA gown by Mori Lee & MGNY which features a dropped-waist ball gown with soft tulle skirt and long line bodice trimmed in beaded lace appliqués. The gown features a detachable cap sleeve coverlet creating a keyhole back. Bec and David took their wedding photos at the magnificent University of Queensland, St Lucia. We wish Bec and David all the happiness in the world!